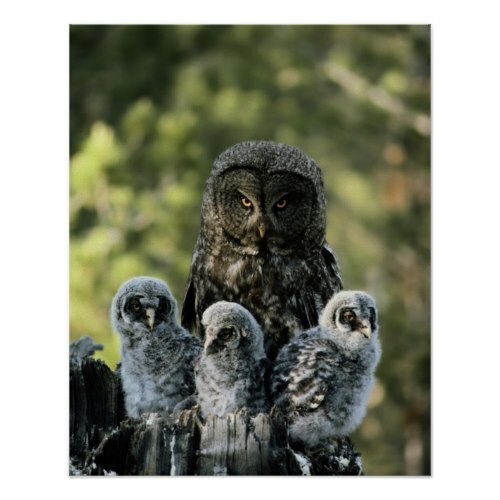 An awesome, wonderful family portrait of a mother great gray owl and her three owlets, sitting atop the rotted stump that serves as their nest. A National Geographic photo taken in Idaho, by Michael S. Quinton, and featured here on a custom photo poster. A completely customizable poster - you may change its size, paper type, and add a custom frame to it, when ordering. Makes a great birthday and mothers day gift for mom. A cool poster for all the mothers. Happy Mothers Day!